Meet the Pink Lady. 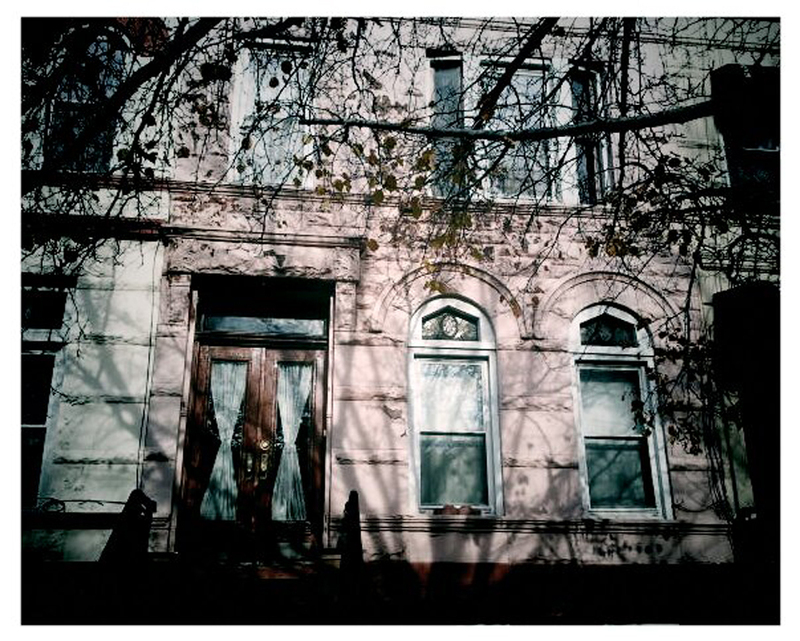 She is a 2-family brownstone in Brooklyn and she is also our new home. We have been wanting a house for a very very long time. We started looking in earnest this past summer when it seemed as the confluence of super low interest rates and lower property prices was just simply too good to pass up. I have to admit that when we were looking I never actually thought that we would come out of this process with a house. I figured surely something would go wrong along the way and we would fall in love with a house just to see it go away. See, buying a home in Brooklyn is like having your wisdom teeth pulled: everyone you speak with has a horror story to tell. To help us wade through the process, we got ourselves some professional help. Erin Douglass was our broker and she very patiently paraded us around the neighborhood showing us different options – from fully renovated houses to total disasters. Of course, we were just naturally drawn to holes in the floor and falling plaster. What is not to love? While The Pink Lady is not an unmitigated disaster like some of the places we’ve seen, she does require a fair amount of work. A lot of the original details remain intact under gobs and gobs of paint, but some of the “improvement” choices that were made over the years really need to be addressed. In other words, there is no shortage of projects in our future. Since we’re on a budget, so we’re tackling the bulk of the work and bringing in professionals where needed (plumbing, electric, anything that could cause an Earth shattering ka-boom). In a way not to annoy our Facebook friends with constant posts about our house, we created this blog for those of you who are interested in seeing what we are doing (and why we are never around to do anything fun ever again ). If you’ve been through a reno project and want to share, by all means, go to town in the comments section. So this is it. Let the insanity fun begin! Oh guys.Found this site totally by chance yesterday and I must say its fantastic.Been renovating my own house since 1998,and was certain that I was the only person on earth going through this.I will keep this message short incase I get problems sending it,(not that techy minded).Drop us a line if you manage to somehow receive this,would be bowled over.p.s.so inspired that I ordered a first edition of Bricks and Brownstones.Good Luck and Best Wishes,Ian. Hi Ian – Welcome to Pink Brownstone. Thanks for stopping by and checking out our blog. Bricks and Brownstones is a great resource for anyone renovating a row hose. Hope you enjoy it.